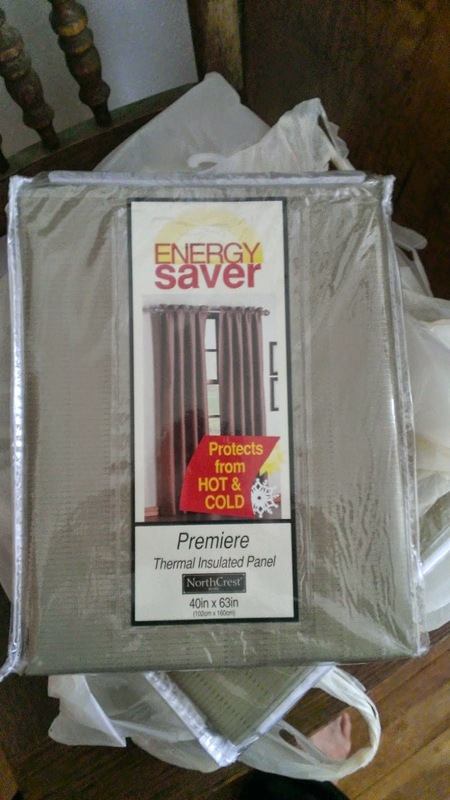 Thermal drapes not only look nice they will help save serious energy this winter. Plus, during extreme hot weather we can pull the drapes shut to keep the heat out! Ten panels for the entire kitchen - there is another window by the sink. 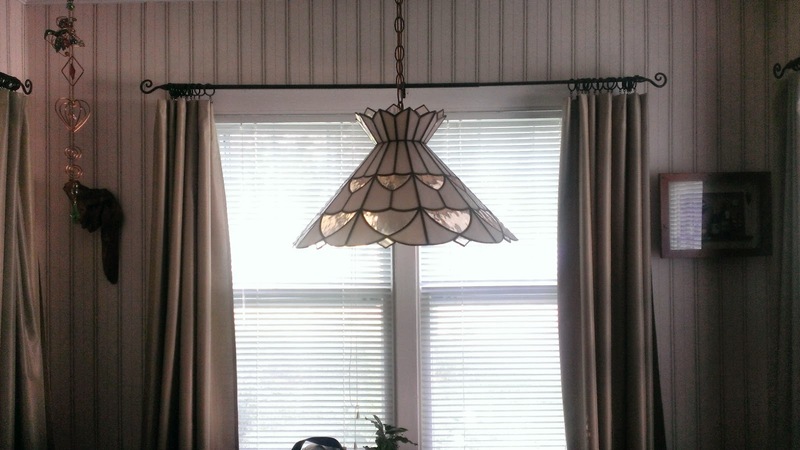 Not sure if I am going to just have a valance or make some type of curtain out of the other two panels. That project is currently in thinking mode. I purchased decorative rods and ring clips - I love the ring clips - they allow the bulky thermal drapes to fall very nice into pleats. Giving the window a finished look. I personally hate thermal drapes without the clips. They look bulking and messy to me. 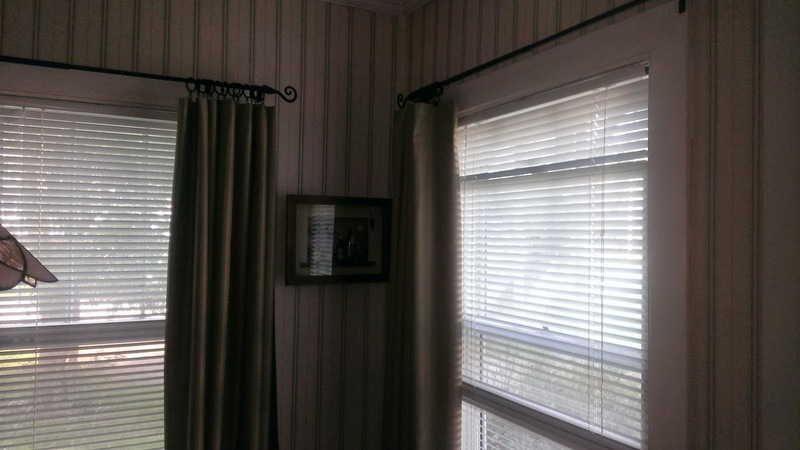 The clips turn the ordinary thermal drapes in a classic window treatment. The sad part is the clips cost almost as much as the drapes. Drapes $8.33(55% off) a panel the clips $5.99($1.00 off) a panel. A little pricy but well worth it - to give the room a finished touch.